In Slovenia, final users have at their disposal only around 70 % of primary energy. The efficiency of electricity and heat production mostly influences this share. 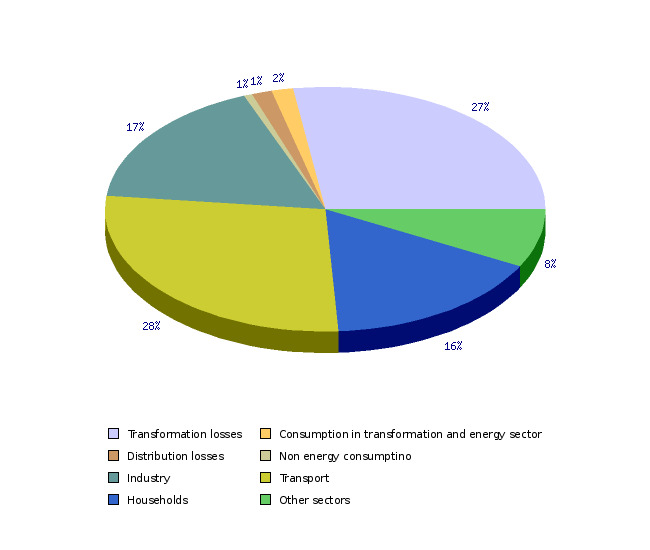 The indicator Energy losses in energy conversion and transfer distributes the energy consumption in Slovenia (primary energy) to losses in electricity and heat production (dependent on the production efficiency = consumed energy (fuels) – produced energy (electricity, heat, oil products)), to losses in transfer and distribution, to consumption in the energy sector (in SORS data, this includes the categories Own consumption and Energy sector) and to final energy consumption (non-energy and energy consumption). 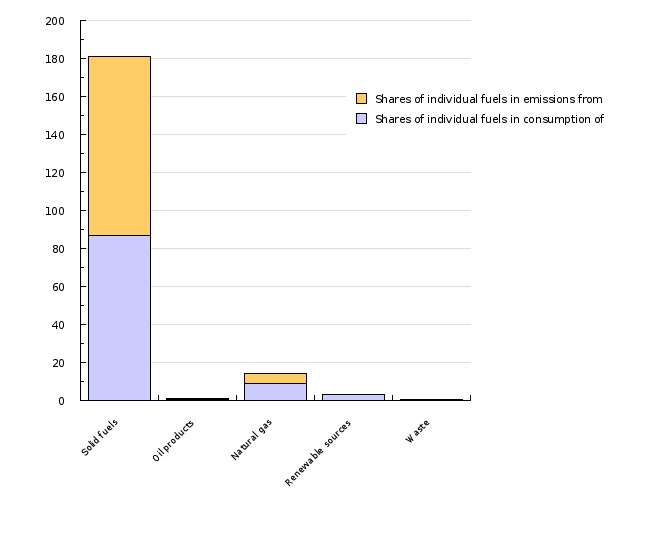 Furthermore, the indicator shows the impact of individual fuels on CO2 emissions. The indicator can be shown in relative (share of individual fuels in total energy consumption) or absolute units. For the indication in absolute units, the thousand tonnes of oil equivalent (ktoe) is used. Statistical Office of the RS, 2012; Jožef Stefan Institute, 2012. - improvement of efficiency of energy consumption and decrease of the impact of consumption on the environment. Source database or source: SI-STAT Data Portal > Environment and natural resources > Energy > Energy balance and energy indicators. 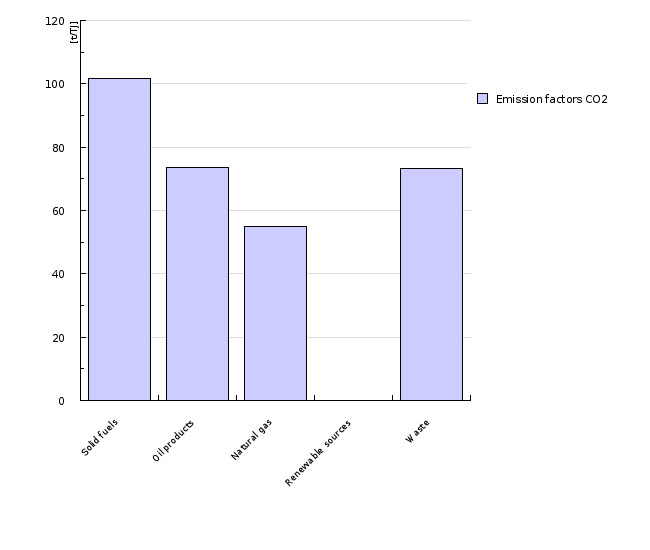 A joint questionnaire, which is communicated by SORS to EUROSTAT annually, for data on the own consumption of heating plants. Data administrator: Statistical office of the Republic of Slovenia. Date of acquisition for this indicator: 11 November 2012. Methodology and frequency of data collection: The data were prepared on an annual basis. For the previous year, the data are available at the end of the current year. - Losses in conversion: The consumption of fuels in electricity and heat production from energy balance and in refineries (transformation-total) – electricity and heat production and the production of oil derivatives (transformation total). - Own consumption in electricity and heat production (electricity – difference between gross production and net production, heat – joint questionnaire). 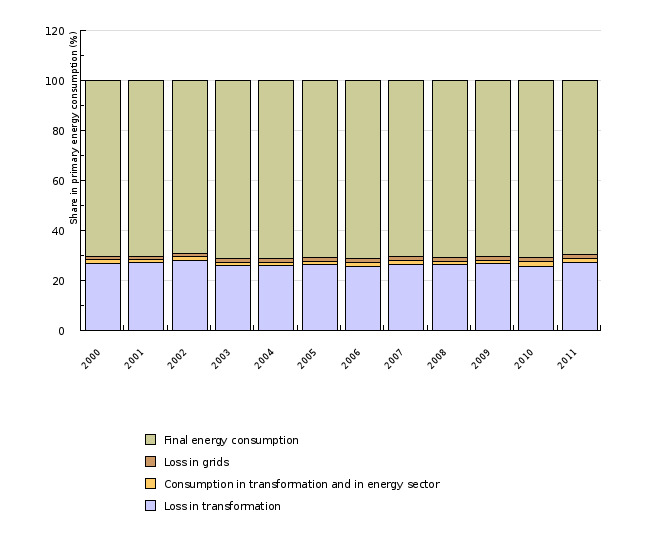 - Energy consumption in the energy sector (Energy balance of SORS – Energy sector). The annual growth for the indicator is sometimes shown in percentage points. A percentage point is a unit used for the comparison of different rates of growth. A percentage point includes an absolute comparison calculated by the formula (nthis year)-(nlast year)=16 %–15 %=1 pp (for instance: if last year the growth was 15 % and this year 16 %, then this year the growth was higher by 1 percentage point). The difference in growth can also be expressed in a relative comparison using the formula [(nthis year/nlast year)*100]–100=[(16 %/15 %)*100]–100=6.7 %, where the growth is indicated in percentages. - Advantages and disadvantages of the indicator: The source of the basic information is one institution (SORS, EUROSTAT) for the entire time series. This provides a more qualitative analysis of events in the considered period. Reliability of the indicator (archive data): The data have the same reliability as the balance of energy consumption – see indicator Final energy consumption by sectors.